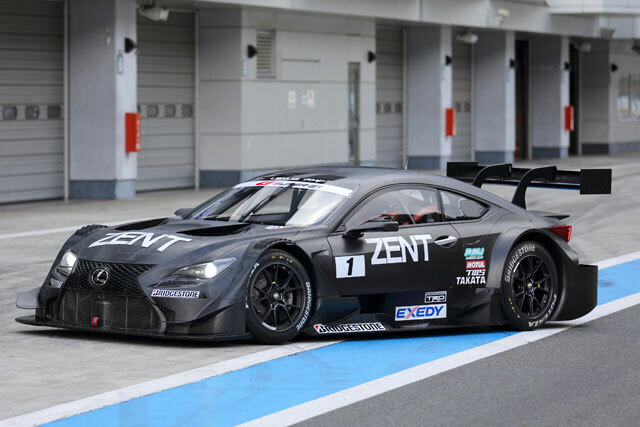 The Zent Cerumo Lexus RC F SuperGT race car took out the Sugo 300km endurance race held at Japan’s Sugo International raceway at the weekend.Held under difficult conditions, Saturday qualifying was cancelled due to heavy fog and rain while a clearer Sunday allowed for early qualifying. Conditions had worsened by the afternoon with the race starting under light rain and a wet track, bringing team strategy and tyre choice into play. The Zent Cerumo RC F team elected to remain on slick tyres while a number of others dived into the pits for wet tyres. The gamble payed off as the rain cleared to give the Zent team a 20-second lead. “The car had a good balance in the race, so just by running normally I was able to keep building a lead,” said Zent driver Kohei Hirate. Lexus RC F vehicles made up a further four of the top 10 positions, with all six finishing the race. All Lexus GT 500 RC F racers have been designed from the ground up for the 2014 season, with new rules stipulating new engines. Drivetrains take inspiration from Lexus’ all-new 2.0-litre turbo, due to debut in the new NX compact crossover in 2015, and feature a direct injection turbo in-line four cylinder codenamed RI4AG. The next round of the SuperGT series is scheduled for Fuji International Speedway next month.